Complete Blood Count (CBC): A Complete Blood Count measures specific components in the blood and its results can help a physician to rule in/rule out various medical conditions. Food trial: A food trial is a term used to refer to the process of offering a specific single-ingredient food to an infant/child for the first time. Generally, the food is given for a set period of days (i.e. for a full week, etc.) and in increasingly larger amounts with each day of the trial. The goal is to offer a full, age-appropriate serving of the food on the final day of the trial. If the infant/child does not appear symptomatic in relation to the food by the end of the trial, the food is generally considered safe. 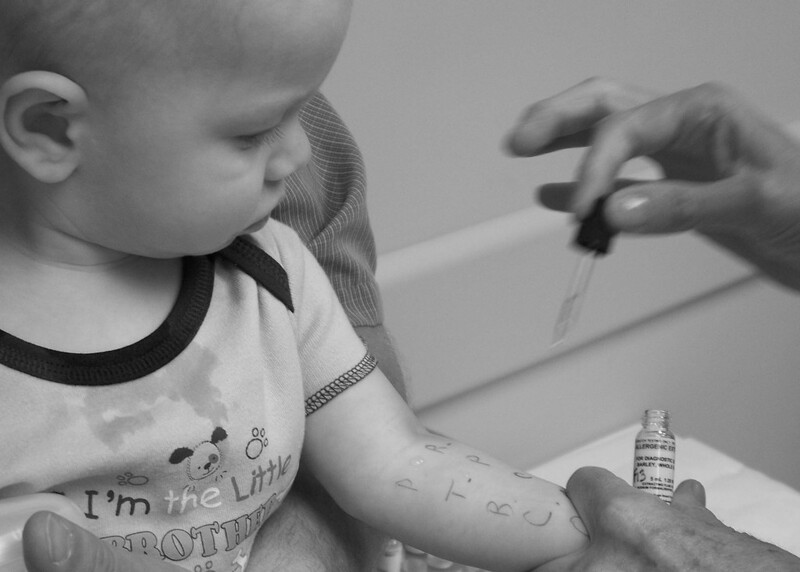 An infant/child’s doctor can help parents to determine an appropriate food trial length for him/her based on his/her age and reaction history.